Very vigorous climber. Strongly fragrant double peach-pink flowers often with coppery shades, freely produced early in the season and sporadically repeating throughout summer. 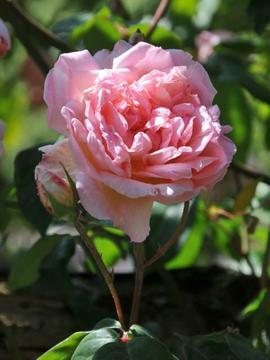 Fertile, moist, well drained soil in a sunny position.